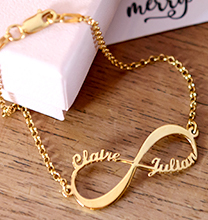 Melt mum’s heart with our Mother Necklace in Rose Gold Plated with Name Charms! A gorgeous accessory that she’ll love to show off, this beautiful necklace makes the ideal Mother’s Day gift for mum or grandma, yet it’s versatile enough to celebrate other occasions. 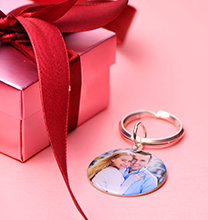 Perhaps you’d like to surprise her with a special love necklace on a random date simply because she means the world to you! This heart shaped pendant offers an updated take on a classic design, and it’s brimming with details that give it a unique meaning. The heart represents love, as always. This pendant rests hangs at a slight angle, and is crossed by a banner that you inscribe with the name or word of your choice. 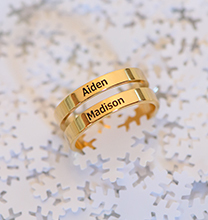 The cutout charms that dangle from the lower edge of the heart can be customised with names or words to represent your entire family and the bond you share. These are rendered in beautiful cursive script, which adds even more elegance to this design. However you style it, this necklace is sure to be one of her favourites – not just because it goes so well with everything, but because it reminds her of the ones she loves most! 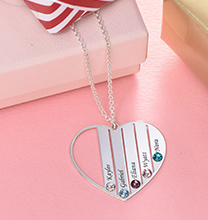 This meaningful necklace is made with 0.925 Sterling Silver. The pendant hangs from a matching Sterling Silver Closed Rollo Chain. 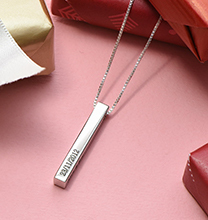 Discover our collection for other personalised mother necklaces, including this heartfelt style in your choice of Sterling Silver or 18ct Gold Plated. 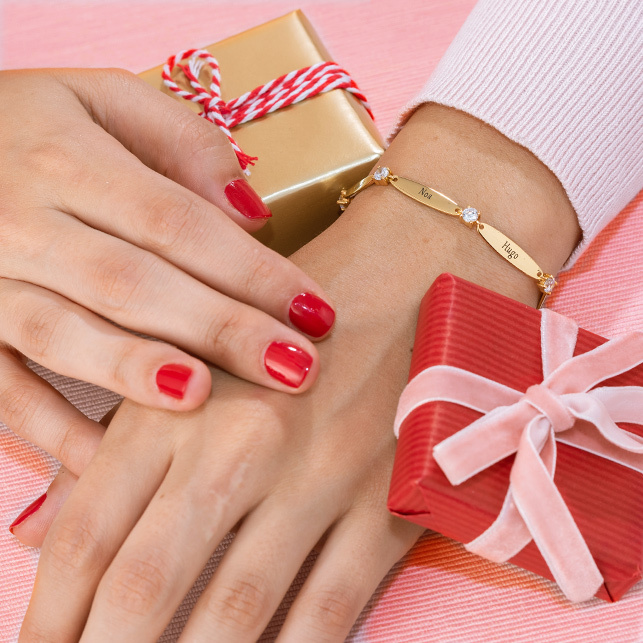 Whichever you choose, it is certain to make mum or grandma feel extra-special.